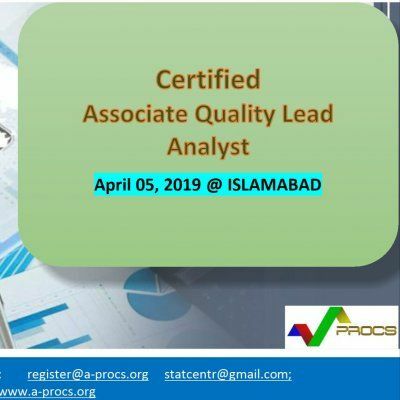 Associate Quality / QEC Lead Analysts are the professionals who look after the data planning, collection, analysis and assessment activities of institutes on a broader scale. As per Harvard University & International Economic Forum Survey Lead Analyst & Data Scientist will be the most demanding professionals in 2020 and afterward. QSI is starting to prepare local professionals filling this gap. A-PROCS Certified trainers, who are JSQC Japan & ASQ-USA Certified Trainers. Adjunct Faculty University of Tsukuba- Japan, University of the Punjab-Lahore, UET-Peshawar, member ISO TC/176. Trainers are Six Sigma Master Black Belt from ASQ-USA and board member of International Accreditation Association USA.